Quality of their Training can be measured by the Knowledge of their Instructor. New Horizons Dubai has Expert Instructors and having large experience in their respective fields. Their real-world experience helps students in their successful career. Meet Our Instructor Team Below. Ms. Anuradha has over eighteen years of experience in key Oracle solutions. With a career starting with Oracle D2k/Java connecting to an Oracle 7.x database, to the current trend of Oracle Fusion solutions, she has end-to-end exposure to Oracle middleware products. In early 2003 she also had exposure to native Symbian and J2ME application development which propelled her subsequently to Android, iOS, at the turn of the last decade. She has delivered trainings covering a wide spectrum of Oracle products – database to middleware in addition to Android and iOS trainings to customers, whose objective has been to access core business services both from Oracle ERP and custom services on hand-held devices. She is an Android Certified Application Developer (ACAD), Oracle Certified Professional (OCP), Sun Certified Programmer for java Platforms (SCJP), Sun Certified Web Component Developer (SCJD) and Sun Certified System Administrator on Solaris 10 (SCSA). Mr Gaurav Pandya has over 20 years of Experience in Information Security, IT Service Management and Compliance, and Multi-vendor Infrastructure expertise. Information Technology Consultant & Trainer for Information Security, Delivering trainings on CEH, Application Security, CHFI, ECSA, Security+, Web Application Penetration Testing, OWASP, ECSP, Data Security& EC Council Disaster Recovery. Security Professional with over more than 13 years of experience in areas of Vulnerability Assessment & Web Application Penetration Testing (VA-WAPT). Delivering trainings onTOGAF, COBIT, ITIL, PMP, RMP. He has Trained Solutions providers/Service Providers/Military/Governments/Banks and other Large scale IT Organizations through the EMEA region across a diverse range of Solutions from HP, Citrix, Cisco, Microsoft, Redhat, Oracle and continues to provide successful trainings worldwide using Online and virtual training platforms. Mr. Gaurav has been a Guest speaker in many technical events/roadshows and conferences from leading vendors across the region. He has a passion for sharing knowledge and has contributed to enablement of Successful IT Initiatives in various organizations. From training CIOs to Serivce Desk staff, he has a wide range of expertise and deep understanding of Modern day IT challenges. 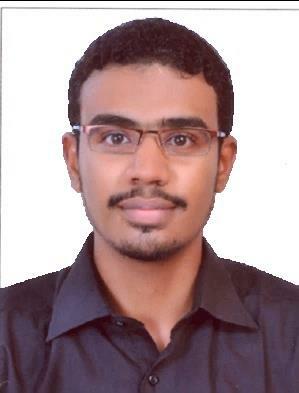 Mohammed Aslam is a technical and management trainer with vast experience in System administration, Network administration, Storage management, Project Management, IT Service Management, IT Security Management, IT Governance and many more. 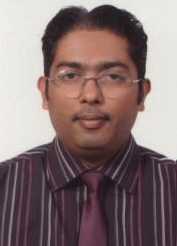 Seasoned trainer with over Seven years experience in Training Information Technology, Graphic and Web Designing.